1. Last week was Valentine’s Day which means it was February 14! This day has extra special meaning to my family. We were received into the Holy Orthodox Church on this date! It’s my chrismation anniversary! 2. Speaking of Valentine’s Day, Honeybear gave me a giant chocolate Kiss. I meant to take a picture of it but I didn’t. There is a chunk of it left but it’s not worth taking a picture. We also did something we have not done in years and years. We went to dinner and a movie. We ate a place called Buffalo Wild Wings. We’d never been there before. I had the *best* burger I ever remember eating. And the wings? They actually were the best wings I’ve ever had in a restaurant. They could rival my own home made ones. 3. A week ago Sunday we had lots of snow (well for us it was lots of snow!). For more pictures you can read my S is for Snow post. By last Friday, when I played taxi driver, the sun was shining and it was 53 degrees! I didn’t need my coat! 4. The Schoolhouse Review Crew is in full swing. The first vendor for 2014 is Kinderbach. Though we did not review it for 2013, we did review it in 2011, early in 2012 and again in late 2012. Look for the reviews from the 2014 crew to start posting on Monday! 5. Look for my first review of the 2014 Crew Year next week! 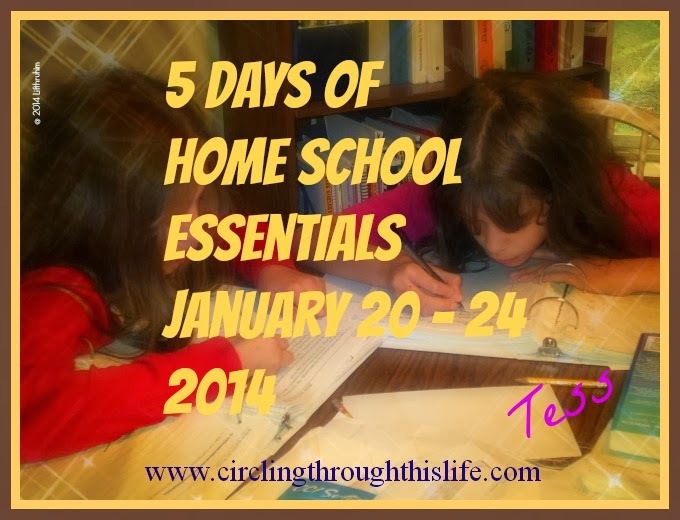 We’ve been exploring different languages with Mango Languages Homeschool Edition.